Maslenitsa is widely perceived as a fun and harmless traditional festivity, but it has a little-known rough and tumble side not usually seen by foreigners. 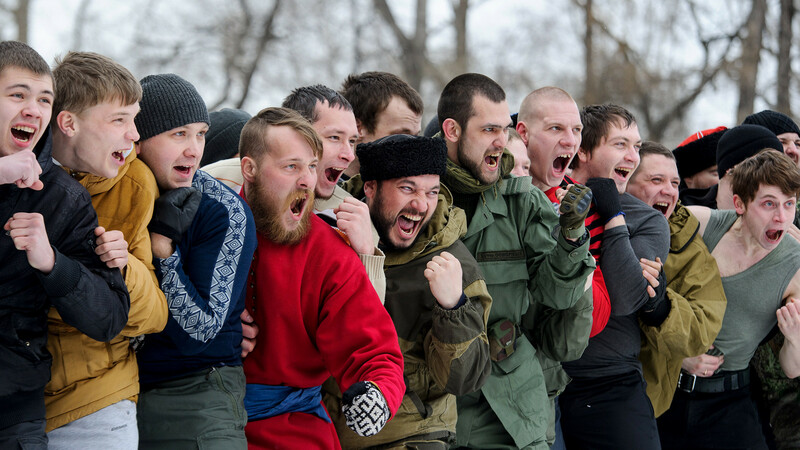 Concussions and broken teeth can result from this ancient Slavic revelry. 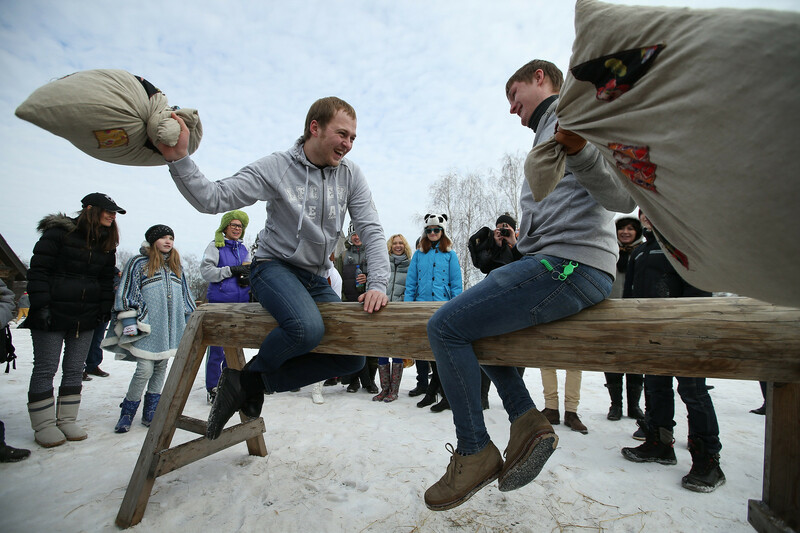 So, if you dare, test your machismo by participating in one of these five physical Maslenitsa competitions. Disclaimer: Russia Beyond warns that the below-mentioned games are ancient Slavic pastimes that might cause bodily injury. Enjoy at your own risk! ‘Slaps’ might seem like an easier pastime, but beware of this ancient Slavic challenge. All eyes are on you because there are only two challengers, who sit on a log or a bench raised above the ground so that contestants’ legs remain in the air. Taking turns, the contestants slap each other in the head with an open palm. Whoever falls from the log first, loses. The winner must stay on the log, even if a little wobbly. In spite of the ambiguous origin of this game’s name, the rules are very simple. Two men stand in front of each other, and each puts a stick behind his feet to make a line that he shouldn’t cross. The two brutal daredevils then take turns whacking each other in the chest with bare knuckles. The first to cross the stick-line seeking protection from the opponent’s ruthless punches is the loser, and of course the other is the winner. The game might be known by different names in other regions, but the survival of the fittest principle remains intact. This game is very cruel. 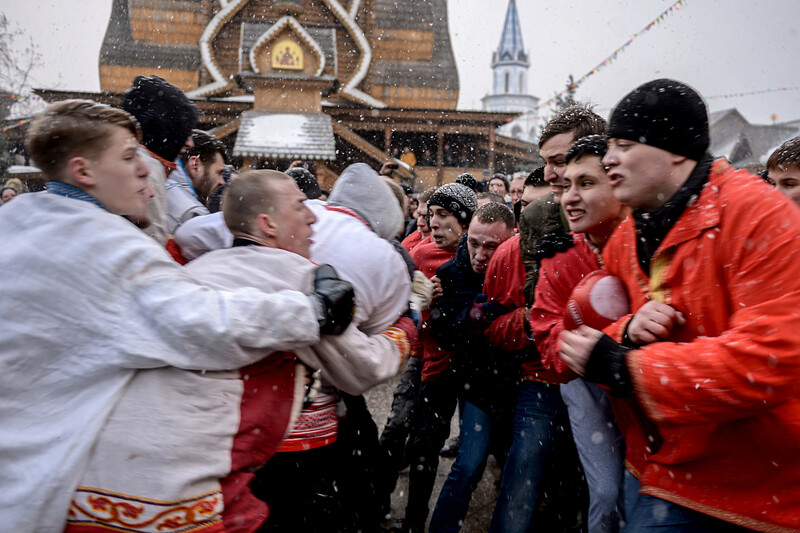 While the brutal ban’ka tradition doesn’t require punches with bare knuckles it’s still a widely feared Maslenitsa ritual. Men gather in a group and go to the banya. The unconventional rules make this a contest of manliness and bravery. You hit your bathing companion as hard as possible with the banya wreath, and when it completely falls apart, they switch places. The winner is the one who first destroys his broom in the hitting process, as well as his frenemy. It sounds like fun, but many capitulate before the game even begins. Rugged noblemen always fight for something, especially to protect what’s theirs. 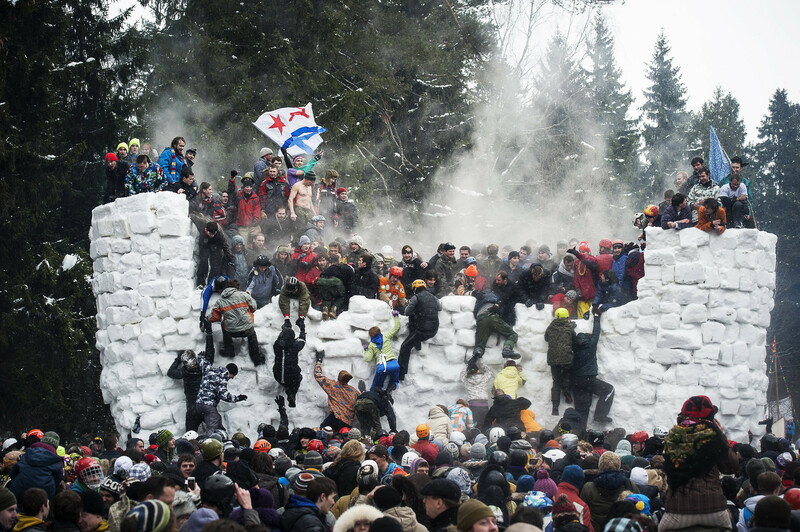 This snow battle, called “city of snow,” aims to prove just that. First, the men build a “city” or “castle” made of snow, and then divide into two teams. Players in the first group protect the city from an assault by the other team. Snowballs, knuckles, and even long brooms can be used as weapons to besiege or protect the newly built “city.” The teams negotiate their arsenal in advance. When the deal is done, the assault goes forward and only the bravest endure the game until the culmination when both teams join together to destroy the “city of snow,” thus symbolizing winter’s end. 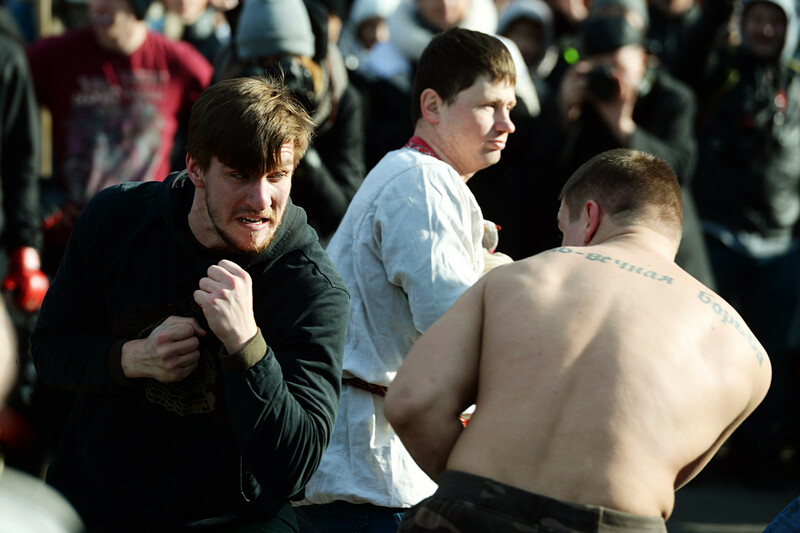 See five less violent yet most bizzare Maslenitsa traditions here.